“What’s the major benefit of a huddle meeting first thing in the morning?” I asked. The team looked around at each other to see who might jump in first. “To share the plan for the day,” said Shirley. “To make certain assignments,” chimed in Fernando. “To schedule lunch,” smiled Paul. Everybody stifled a brief laugh. “Lunch is important,” I said. “Now, most of you are too young to remember Woody Allen, but he said that 80 per cent of success is just showing up. One of the major benefits of a huddle meeting first thing in the morning is to firmly establish the starting point for the team. “Lots of time can get wasted as people trickle in, fritter around, sharpen pencils (who uses pencils anymore?). But, if you have eight people on your team and you lose fifteen minutes, that’s two hours of production. 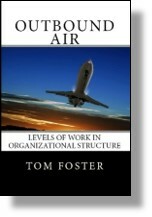 This entry was posted in Leadership, Teams and tagged context, environment, leadership, teamwork on April 3, 2019 by Tom Foster.